For 35 years, Metropolitan has been serving the trade in the Greater Boston area and Northeast. As the largest manufacturer of cabinetry and countertops in the region, we take pride in doing things right and providing our customers with the best products at the best prices. It's the details that make the difference. Things like dovetail joints, soft close drawers and white glued dowel joinery. Add these details to our built-one-at-a-time philosophy and Metropolitan's unique blend of hand craftsmanship and state-of-the-art technology and you'll understand why our cabinets are the best in the business. When it comes to countertops, Metropolitan has it all, from marble, granite and quartzite to engineered stone and laminate. Now add 20 design specialists to assist customers at four conveniently located fully accessorized showrooms, on-site measuring, on time delivery and factory direct pricing and it's easy to see why Metropolitan is the first choice of commercial and residential contractors. Metropolitan is a firm believer in producer responsibility and has actively designed our manufacturing processes, company policies and procedures to reduce the impact on the environment. As a strong supporter of environmental sustainability, we stress this commitment to employees, customers and vendors. Metropolitan is the only Massachusetts cabinet manufacturer accepted into the Environmental Stewardship Program of the KCMA. Paramount has over 100 years combined practice and takes pride in our dedication to providing a personalized, reliable experience, for every clients' custom cabinet needs. Paramount woodworking offers fully custom cabinetry. From design to install we control every aspect of the job so you get the kitchen of your dreams. We have a 8000 sqft shop outfitted for custom cabinetry. We do not outsource our products meaning you get the paramount quality everyone knows and loves. The Corner Cabinet offers several custom, semi-custom and stock cabinet lines as well as a large selection of countertops and related accessories. Spotlight Kitchen And Bath Inc.
We are a local cabinetry and counter top retailer conveniently located in Worcester on Shrewsbury street. 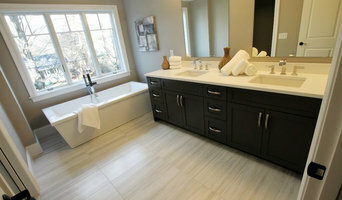 We carry a variety of cabinetry lines ranging from extremely inexpensive, yet well built, to higher end custom cabinets. With a variety of cabinet lines to choose from, we are able to accommodate a broad range of budgets. You fill find our prices to be extremely competitive. From practical to incredible, Spotlight Kitchen and Bath Inc. is your choice for superior remodeling results. We can guide and coordinate your new construction and remodeling projects through design, cabinetry selection and installation. Our highly qualified and experienced design team will work your individual needs to create a design that is custom to fit your lifestyle. We offer full service design and fine cabinetry solutions for the entire home, including kitchens, baths, offices, libraries, closets and media rooms. We also carry tile, backsplashes, cabinet hardware and the latest lighting choices. Spotlight Kitchen and Bath Inc. is a member of the NKBA (National Kitchen & Bath Association) to ensure we are up to date on the latest industry trends and to support our respective industry in an effort to better serve our clients. Please feel free to drop by to see our new showroom or schedule an appointment so that we can introduce you to the lines we carry. Contact us for a free in-home consultation! From cabinetry to mouldings and more everything we produce is handcrafted by the most stringent quality standards. We do not want you settling for anything less than what you deserve! We specialize in expert cabinet installation and interior finish trim work. We provide services that include sales, design, installation, and repairs. We also offer other home improvement needs. We are the only authorized agent in South Eastern Massachusetts for made-in-the-USA, lifetime warrantied, RedLine GarageGear powder-coated MDF cabinets. These affordable, high quality storage cabinets are designed specifically for garage, shop, or basement environments. Organize your home with RedLine Closet Systems. This versatile closet line can also be designed for use in other areas of your home such as an office, entertainment center, or even a bar! Upgrade that stained garage floor with beautiful, durable, Hallemite Epoxy flooring, then keep the hard to fit things like skis, golf clubs, ladders, and rakes up off that floor with HandiWALL PVC slatwall and accessories. We provide state of the art 3D computer drawings of your garage or closet designed according to your specific needs. Contact us and we’ll bring our mobile showroom trailer to you! Serving 7 counties in Eastern MA: Dukes, Nantucket, Barnstable, Bristol, Plymouth, Norfolk and Middlesex. Owner/ Operator of Lamborghini Construction and ClearSpace Garage and Closet Storage Solutions since 1985. Find a Local Dealer Near You! Fieldstone Cabinetry is custom cabinetry made in America, with the best materials, the best time tested woodworking methods, and the best finish process, for the richest, deepest cabinet colors. *Authorized Elite StarMark Cabinetry Dealer* Kitchensmith Fine Cabinetry and Design is about you, the customer. That’s why we’re here. Chad and Meera Smith founded Kitchensmith Fine Cabinetry & Design in March of 2012 with the focus and determination to make your project a pleasurable and rewarding experience for you. Cabinets, countertops, hardware and the many other details in your project are simply components that will come together as we interpret and help you to create your vision. That process is where our relationship begins; from the moment you step into our showroom we will strive to listen, to interpret, and to communicate. It’s that relationship that we value. That relationship will define your experience. That relationship will be rewarding. Whether you’re a homeowner or a contractor, Kitchensmith Fine Cabinetry and Design has an array of quality products for you at a competitive price. Kitchens, baths, as well as other rooms! Oracle fine finishes provides custom finishes and coatings for a variety of materials and structures. We specialize in fine spray finishes, brushed on finish coats, and clear woodwork coatings. We finish all types of jobs from full kitchen cabinets to small side tables. Peter and his team have been fulfilling dreams for clients for 30 years! Old school craftsmenship building quality cabinetry, hand made furniture and highend renovations. Always using the finest woods and veneers. Dependable and easy to work with. Gary Barcus has been designing and building fine furniture, cabinets and millwork for over 35 years. His work is installed in many finer residences throughout the Greater Boston area, as well as locations stretching from Nantucket to Nevis Island to Saudi Arabia. It is a hands on operation, and each project has his personal attention. Award Winning in Innovative Kitchen Design YGK Kitchen Cabinets + Design offers Modern, Contemporary and Transitional cabinetry combined with high quality, functionality, and value which embody the highest standard of design and materials. We welcome you to come to visit our Newton Showroom. Offering complete design solutions, guiding clients through the initial design phase through completion with our expert design and installation team. We strive to break the mold and have a space that you can truly call your own. We design, deliver & install. Give us a call! Right Angle Kitchens & Design, Inc. is a full service, boutique cabinetry showroom working with homeowners, contractors, developers, property managers and fellow design professionals. We tailor our services to meet our individual client’s needs and guide them through the renovation process from conception to completion. Our mission is to provide our clients with superior customer service and professional expertise while creating unique design solutions with affordable quality products. Our client’s needs, desires and expectations are our primary focus. Creating lasting relationships between our clients and everyone involved in the renovation process is what drives our business and the key to our success. We are a design-driven kitchen/bath and space planning firm working in partnership with our clients and contractors to create artistic and dramatic spaces that are also incredibly functional. Design Details offers a wide selection of cabinetry in every price range from stock to fine furniture as well as installation services, lighting design, assistance with materials selection, and contractor referrals. Our initial ninety minute consultation is complementary, so we encourage you to give us a call if you're considering any important cabinetry or space planning decision. Case by Case Cabinets is a custom cabinet shop focusing on the residential market. Our work is divided between working with designers, architects and contractors, or working directly with homeowners. Whether it's working from your plans or creating a design, our specialty is adding a critical, experienced eye to the project to make sure your kitchen or family room is the best it can be. You want to remodel your kitchen, put some cabinets on either side of the fireplace, turn a room into a closet, or add some mudroom cabinets. What are the advantages of choosing Case by Case Cabinets? Price: It is a misconception that custom made cabinets are always the most expensive cabinet option. If you have been looking at the better quality stock and semi-custom cabinet lines, then your budget can include custom cabinetry. Options: There is very little that can't be done with custom cabinets. There are no 3" increments or "standard" sizes that must be adhered to. And practically unlimited choices of door styles and finishes. Clarity: Pricing is inclusive--there are no "extras" that aren't included in the price, but are naturally part of the kitchen. A Case by Case Cabinet price includes all required fillers, finished end panels, kicks, and moldings. Cabinets are delivered when promised. Quality: Top quality materials like Purebond maple plywood, Blum and Hafele hardware are used to create precision-made, high quality cabinets. We use the same advanced software and machines as any mega-company. 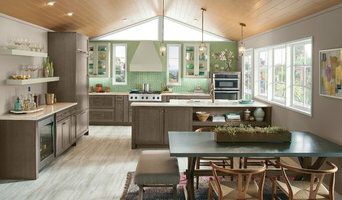 Who do you think is better positioned to create your dream kitchen? the company who churns out 30 stock kitchens a day, or the company that works one project at a time? Experience and Knowledge: Erik Bittner has been making cabinets since 1986, and has the breadth of knowledge that can only be acquired over that kind of time. Things do change, however, and Erik keeps up with product innovations, technology, and methods by regular visits with vendors and others in the trade by visiting trade shows, participating in online forums, and attending technical seminars. When you think about cabinets, your mind probably goes straight to kitchens and bathrooms. But Wellesley cabinetry professionals’ abilities extend far beyond those obvious spaces. If you need built-in storage, shelving or custom case goods, no matter what the room or purpose, cabinetry experts can help. Their focus on details and space-planning skills can help you squeeze functionality from even the tiniest corners of your Wellesley, MA home. What does a cabinetry professional do? Cabinetry professionals design, construct, refinish and repair banks of conventional cabinets, but they also create customized storage and shelving for home offices, playrooms, bedrooms, media rooms and other spaces. They’re in the know about Massachusetts design trends and different cabinet styles, as well as the latest in special inserts and other options that boost functionality. Cabinetry professionals also can craft furniture to your specifications, such as a corner cabinet for a kitchen or a dining room hutch. In addition, Wellesley, MA cabinetry pros can help you give worn or dated cabinets a makeover. They can replace doors; add glass inserts, decorative moldings and other details; or give cabinetry a new coat of paint or specialty finish. Your cabinetry professional might work closely with a Massachusetts kitchen designer, builder, remodeling contractor or interior designer. Here are some related professionals and vendors to complement the work of cabinets & cabinetry: Kitchen & Bath Designers, Kitchen & Bath Remodelers, Interior Designers & Decorators, Closet Designers and Professional Organizers, Woodworkers & Carpenters. May I see a current or recent jobsite? What materials and hardware do you plan to use? Find a cabinetry professional on Houzz. Narrow your search in the Professionals section of the website to Wellesley, MA cabinets and cabinetry. You may also look through Massachusetts photos to find examples of cabinets that you like, then contact the cabinetry professional who worked on them.